The broken record strikes again. I mean, I've poured melted chocolate over the crusts of cheesecake before. I've even done chocolate covered pretzel crusts before. Somehow though, I don't really hear anyone complaining. Okay, that's slightly a lie. People always complain about something. But seriously, "the crust is too thick"??? I don't get that. If you're looking for a pitiful crust of crumbs, walk away now. 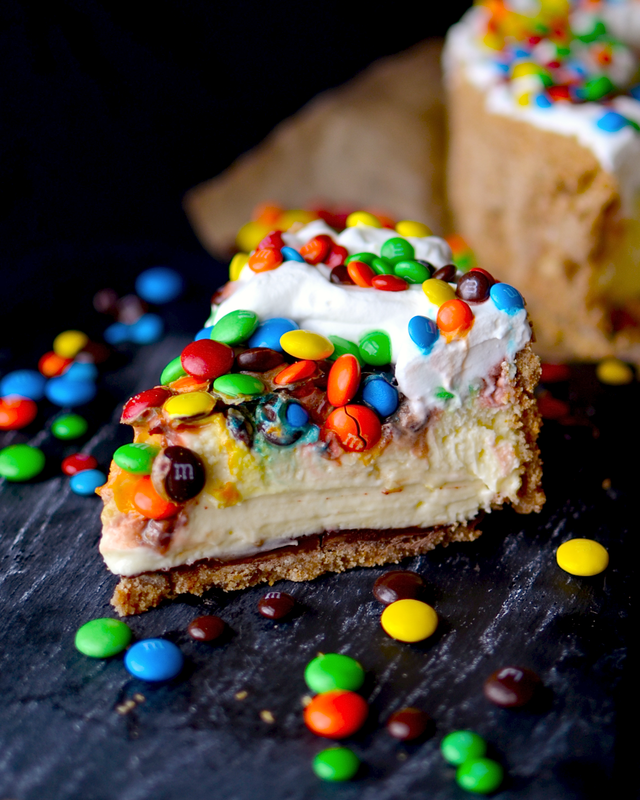 Anywho, the star of this cheesecake is obviously the M&Ms. 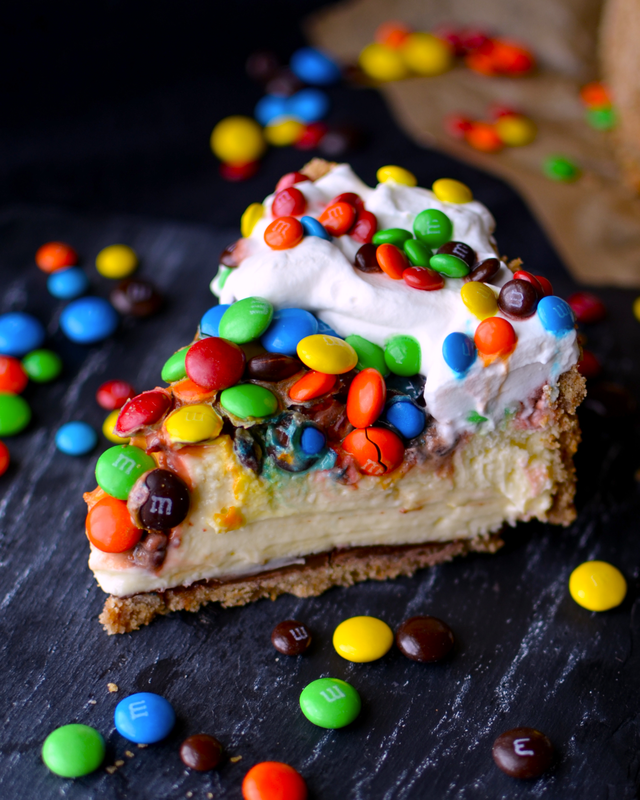 You guys already know my feelings on M&Ms if you've read this post. 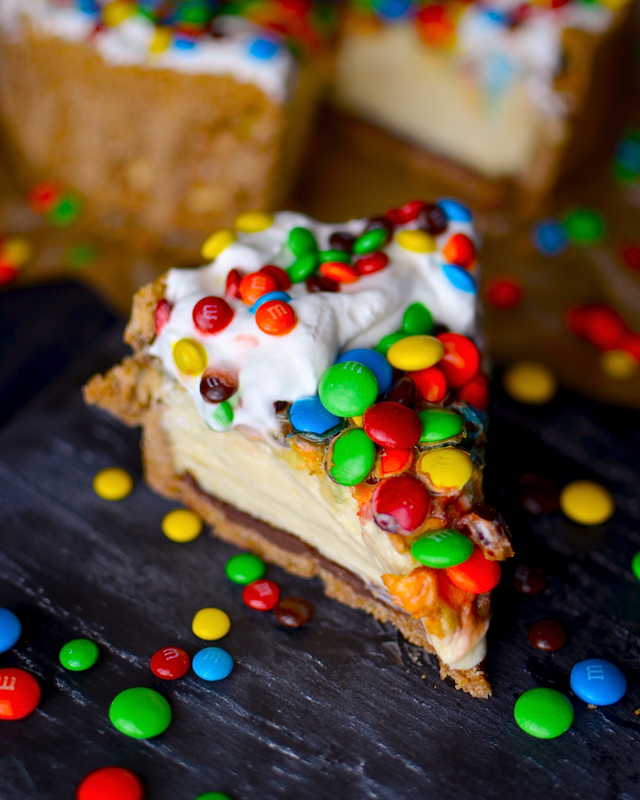 You can't just sprinkle some M&Ms on top of a cheesecake right before you serve it and think it's a done deal. No. 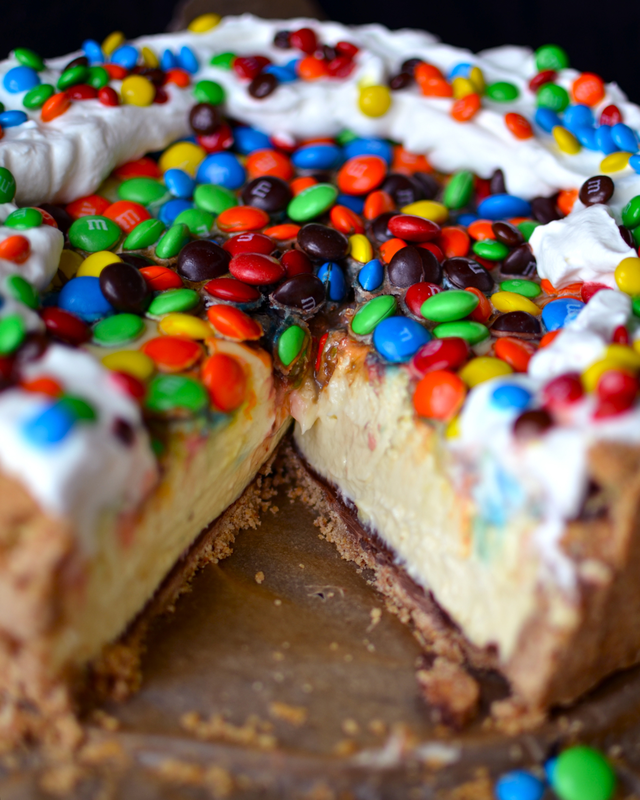 M&Ms are meant to be baked. Although, sprinkling some extras on top at the end won't kill you either. 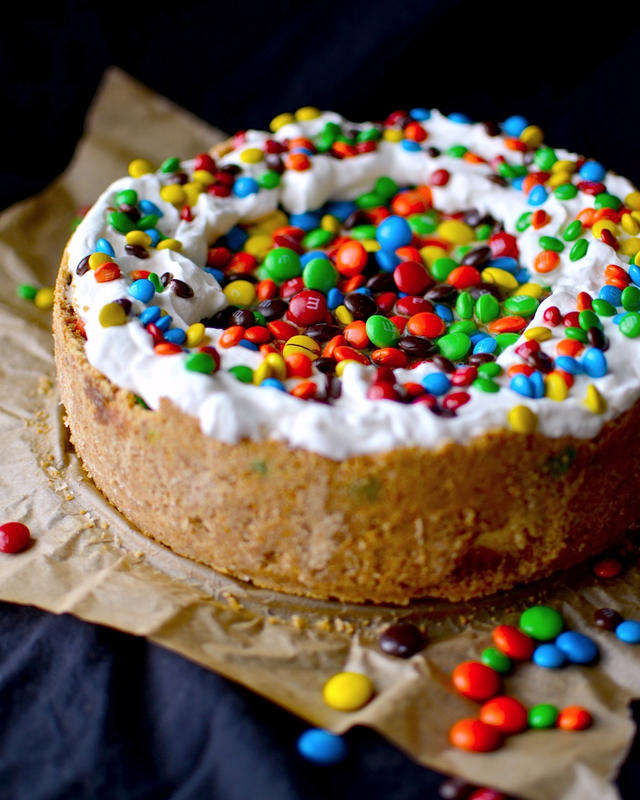 Serve with whipped cream and more M&Ms (I used mini and regular for decoration). Don't forget to follow Yammie's Noshery on Facebook, Twitter, Pinterest, RSS, and Instagram! !